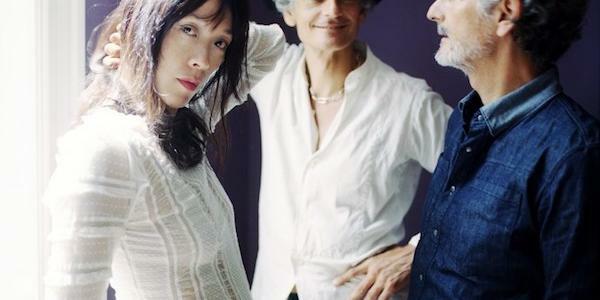 In our latest Band Spotlight, we chat to New York alternative rock legends, Blonde Redhead. Vocalist and guitarist, Kazu Makino talks us through her inspirations, and her attitude to the band’s success over the last 25 years. I have a tummy ache, but otherwise I love being in Manchester, the home of Man City and Man United! How are you enjoying the European tour so far? I love it…we have a great crew! We have gifted engineers, and a lighting man! Our tour manager is an old friend! I always want to be in Europe during summer. What motivates the band outside of music – think specific people, movies or books for example? My friends, especially who i became friends with after making my solo record. The people I played with outside of my band, for example, Heba Kadry who mastered my record. Sam Owens, who produced the album with me. Ryuichi Sakamoto, who played on it and Ian Chang, Greg Saunier, as well as Eva Michon, film director, who also made a great interview with me a few years back. Then, the people I’ve known for years: Kama Geary, Jane Mayle, Monica and Titti Santini, Serge Becker and Lale from Istanbul. I also love my horse, and horses and football! I follow La Liga and premier league, Seria A, Carlo Ancelotti, Zizou, and also love Paul Bowles Nabokov, Luca Guadagnino, Daito Manabe…Nosaj Thing! What is your attitude to success now? I want to be successful but i could only do what I do! I have yet to prove that if I love what i produce, the success will come? I am grateful too! What was it like working with Ludovico Einaudi recently on ‘Where Your Mind Wants To Go’? Ludovico is fascinating as an artist, and incredibly sweet man. and I think what he did for the song, is so him and the way it grows and pulsates. bold in its simplicity! Also, how loud he wanted the strings to be mixed was unique. How would you advice emerging artists who are inspired by your work – whether they discover you through your back catalogue or Rick and Morty, whatever to go about a career in music? I think your music turns into a career when you find a way to reveal yourself through music. it is a language that you mould. It can be complicated or very simple i guess reflecting your own self. Even if it comes easy, and you do it without thinking, at points, you really need to work very hard. I believe there is a space for every music, as every one of us is unique. What have you learned about yourself as an artist, and as a person over the last 25 years? That I defy myself through my work which might not be ideal sometimes. That I am not so sentimental. Maybe all my sentiments come out in music and I get my rocks off that way. I look forward to future rather, than lament on the past, meaning time is irreverent to me as long as I am obsessing about something. I think I will be sad and in trouble without people that I work with, and am close to, and animals as well as the Mediterranean Sea and football!